Tata Motors announced the launch of the T1 PRIMA TRUCK RACING CHAMPIONSHIP on 22nd January 2014, in Delhi to bring truck racing to India for the first time. The first ever truck racing championship in India is inscribed on the calendars of FIA (Federation Internationale de l’Automobile) and FMSCI (the Federation of Motor Sports Clubs of India). 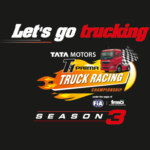 The T1 Truck Racing Championship is held at the internationally acclaimed Buddh International Circuit and it gives Indian audiences a grand spectacle of PRIMA trucks competing against each other.